LOOK! I Made A Book To Read! This Literacy tool can be a very effective way to build confidence in your beginning readers, especially struggling and/or reluctant ones. Using Dolch's Beginning Sight Word list, I created some fill-in-the-blank sentences to help your emergent readers get started. 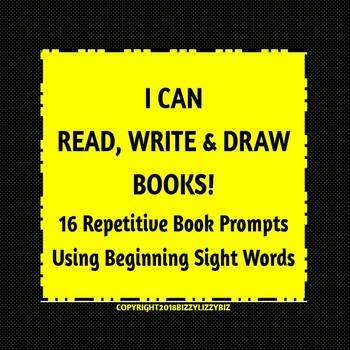 Your students can supply the words they want to complete the sentences. Create the books as part of your Guided Reading. Send them home for practice. Have your students partner-read with classmate or younger students. Publish copies for your Classroom Library. Let me know how you and your beginning readers are doing.